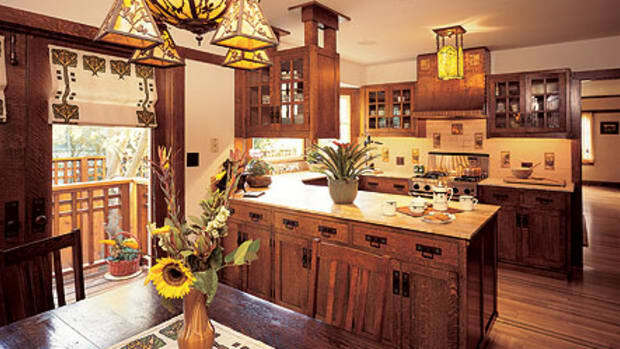 Fabulous revival kitchens appeared in three different features in our Fall 2009 issue of Arts&amp; Crafts Homes. Here’s a look at these projects. Fir cabinets join mahogany countertops and a backsplash of subway tiles. 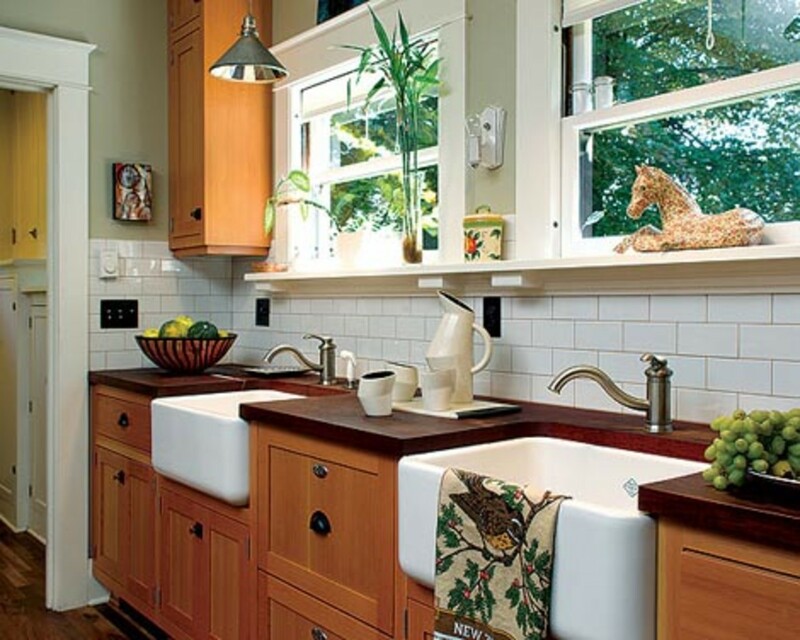 A pair of farmhouse sinks was installed under the windows with a dishwasher hidden in between. This Craftsman house, probably inspired by the work of Pasadena architects Greene & Greene, was built for a lumber baron back in 1914. When the current owners bought it, the existing remodeled kitchen was uncomfortable, with three tiny rooms and five doorways. It took some planning to keep the integrity of the early-20th-century plan while making the space usable. All five doors are still here, and the pantry has been converted into a bar. 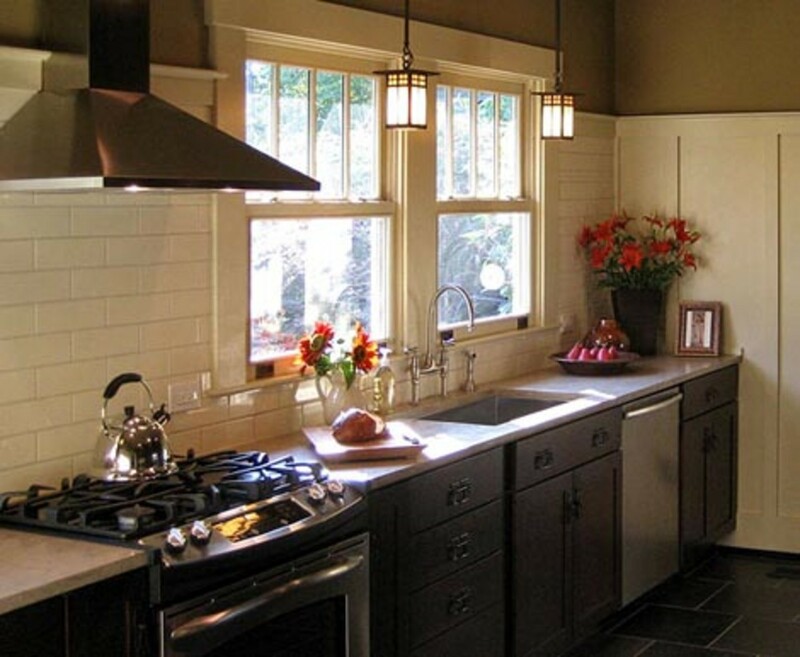 Period-inspired, custom fir cabinets hang over mahogany countertops and plain subway-tile backsplashes. The flooring is walnut. A built-in banquette by the window provides ample dining space. 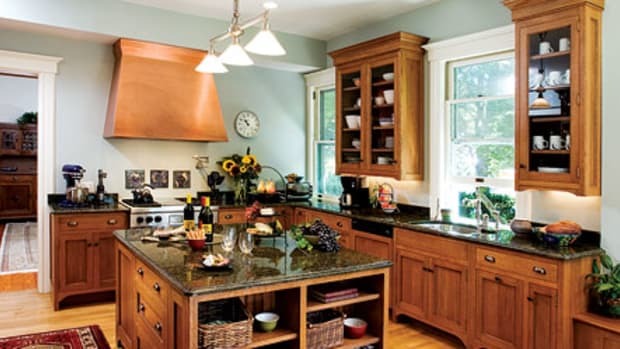 The couple who built this house distressed quarter-sawn oak cabinets and antiqued all the cabinet hardware. Truly Revival magic, this Craftsman-inspired house is brand-new, built by paint-decorator artists with a love of the Arts & Crafts period. 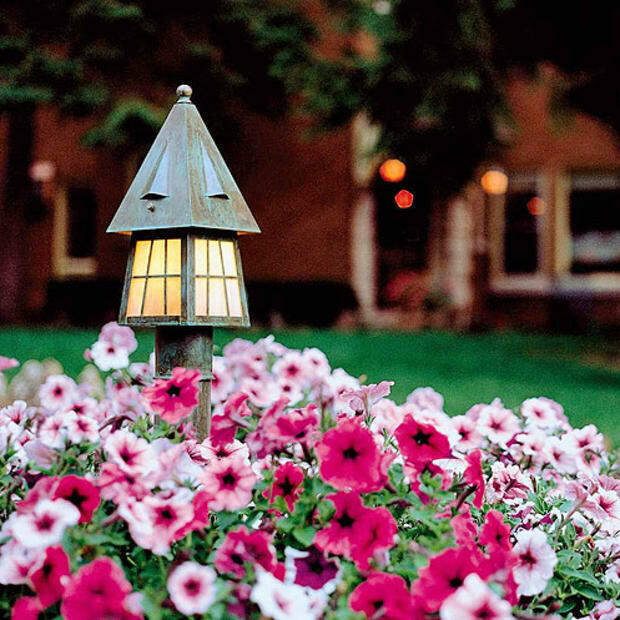 Textured plaster walls, stenciled ceilings, and extraordinary landscaping are highlights of the project. 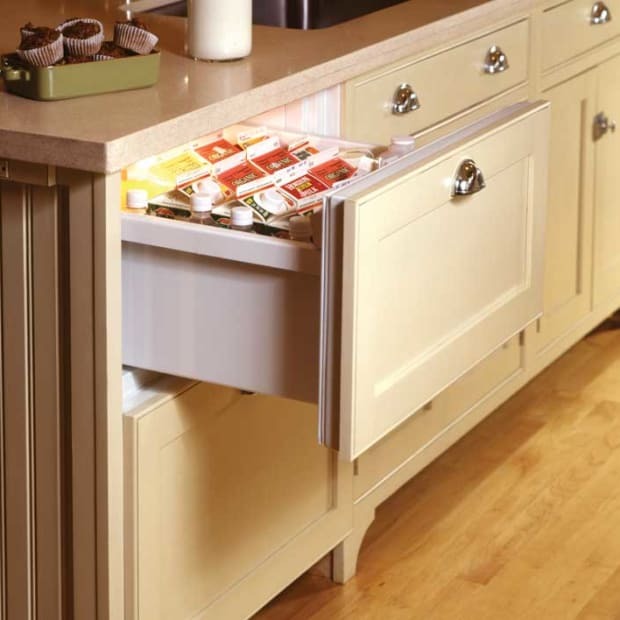 The family kitchen has a modern sensibility but many features of art and craft. The continuous countertop is a neutral slab of Jura-Gray limestone, illuminated by three pendant lights by Arroyo Craftsman in a dark bronze finish. 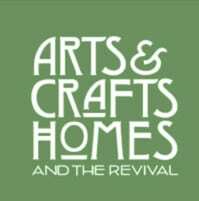 Husband-and-wife architects and readers of Arts & Crafts Homes sent in the results of the challenging kitchen renovation for their own 1925 Arts & Crafts Bungalow. They chose a quiet palette and natural materials so that the renovation would meet their needs for an updated kitchen, pick up its details, yet stay true to the spirit of bungalow architecture and philosophy. 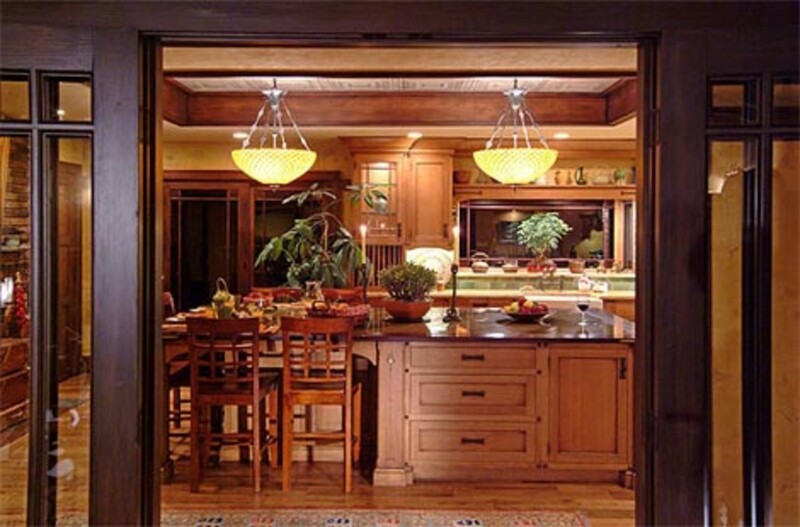 On one wall, floor-to-ceiling oak built-ins create a butler’s pantry, with pottery displayed above. 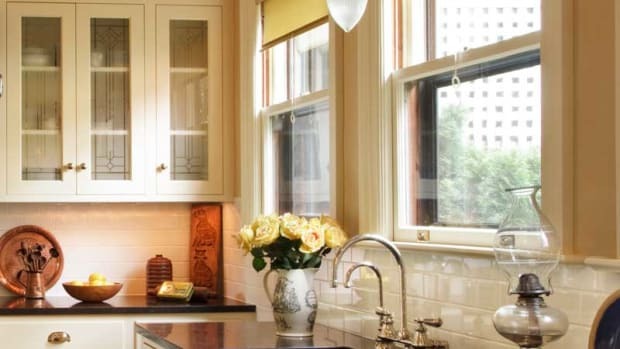 On the opposite wall, cabinets are countertop height (none overhead), surmounted with a backsplash of plain, cream-color subway tiles. A top molding of tile is placed at the same height as the plate rail that caps adjacent wood wainscot. The floor tile 16x16 graphite slate in a running-bond pattern. Plain, off-white surfaces both glossy and matte, steel appliances, and dark wood cabinets make a room that has contemporary appeal, yet is timeless. 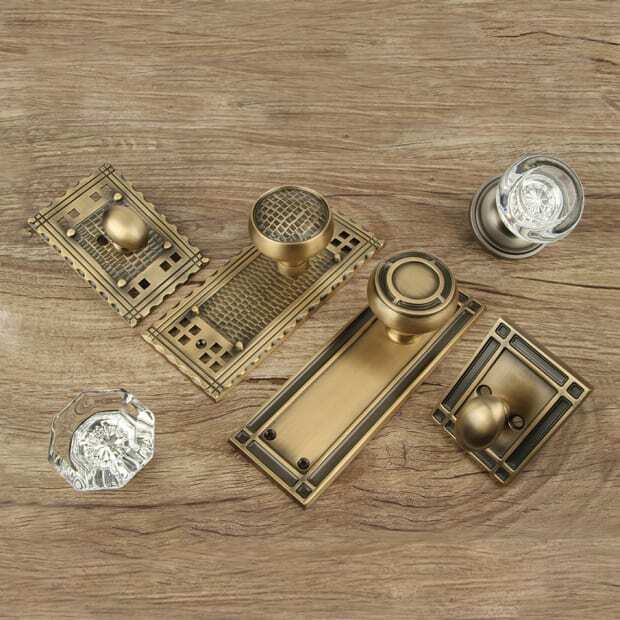 Browse an inspiring and eye-opening list of specialist products and manufacturers to help you design, outfit, and finish your kitchen—whether you’re restoring a period bungalow or dreaming of a multi-function room for your Craftsman Revival house.